REDUCED! Fantastic opportunity to live in desirable Dunedin! This extremely well maintained community features a clubhouse, swimming pool and shuffleboard courts. Priced to sell, this end unit townhome is clean, neutral and move-in ready. Or, at this price, you can afford to make changes and upgrades as similar units in Braemoor Lake Villas are priced and selling significantly higher. The downstairs features an eat-in kitchen with a bay window and laundry closet, a dining room, living room with vaulted ceilings, master bedroom and bath and enclosed lanai. The master bath features dual sinks, a tub and a shower. There is storage space under the stairs. Upstairs find 2 bedrooms and one bathrooms. Tile floors on the first floor, carpet on the second level. There is a detached one car garage adjacent to the townhome as well as conveniently located guest parking. Dunedin is often featured on those "Best Places to Live" lists - close to beaches, Honeymoon State Park, Toronto Blue Jay spring training facilities, a charming downtown area alongside the water. Don't miss this one! 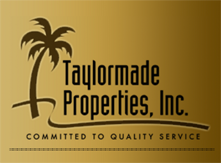 Listed by Janet Lopez of TAYLORMADE PROPERTIES, INC.